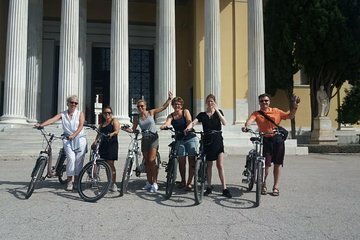 Visit your pick of Athens’ most famous historic sites, and get around quickly with a local leading the way on this private, 3-hour guided e-bike tour. Cycle with ease around the ancient sites of the Acropolis, a UNESCO World Heritage Site, letting the bike’s electric motor do the leg work. There’s flexibility to tailor the tour to suit your group - from impromptu coffee stops, to setting alternate routes.